Tyre review data from 8 tyre reviews averaging 74% over 38,308 miles driven. Sorry, we don't currently have any questions and answers for the GT Radial SportActive. Why not submit a question to our tyre experts using the form below! The tyre is excellent in dry conditions, sharp reactions, superb handling. It has an unbelievable mileage! I have now driven over 7.000 miles and has used LESS than 1MM !!! Expected life OVER 30.000 MILES!!! On the wet, the tyre is not a s good as the premium brands, but still very effective. Handling is sharp again, and the tyre give a very good feeling to the steering. Could be a bit more quiet at high speed , and it is very hard. This is excellent for the track, maybe a bit less for daily home to office journey. Still, a very good tyre !! Good job! Have you driven on the GT Radial SportActive tyre? 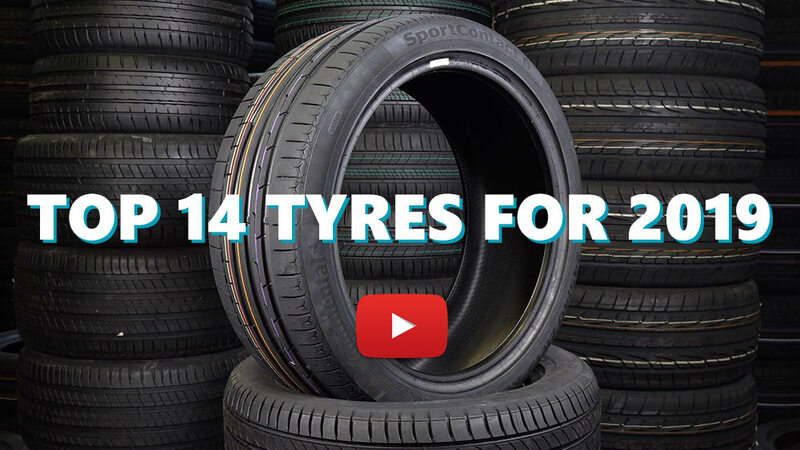 Please help millions of other drivers make an informed tyre choice and pick the correct tyres for their car by submitting your review of the SportActive. Been on the rear (non-driven) wheels for a year now. Its a bit harder to judge the rear tyres but I'll relay my impressions. This is a decent tyre for the price, feels safe in the wet though I'm not pushing it to extremes. It did seem to take a while to scrub in (suppose because its so hard wearing). So if the big tyre names were say segment A and this tyre a 'B' segment tyre then within that segment I would rank it A in the dry and B in the wet. If you're after a genuinely long lasting tyre thats cheap and performs well (actually in my view quite a bit better than magazine test GTU/AZ would have you believe as DEKRA retested it with better results) then I would definitely put this on your list. It is what it is ...competent, long lasting and inexpensive. These tyres came fitted to my 2015 TT TFSI Quattro when bought as an approved used car - They seem to be ok when the roads are dry and warm in these conditions the handling is reasonable. I have much less confidence in the wet though . In a straight line they are fine but are dreadful in corners. I'm not sure whether they do not suit my car with it being 4 wheel drive but they loose traction really easily in corners so much so I have no confidence in them when driving in damp/wet conditions. I think they must be a really hard compound as there are no visible signs of wear whatsoever and after 5000 miles are still showing 8mm on all 4 corners. According to the other reviews They appear to work well on other types of vehicles but recommend you don't use if you have a TT Quattro. Will be changing as soon as I can before winter sets in. Couldn't justify the cost of Bridgestones that my Mazda 6 Sport came with at nearly £200 a corner fitted, so glad, as these new GT Radial Sportactive are far smoother with less noise and half the price. So far handling has been equally as good as the Premium Brand for the type of driving I do. At this price point will deffo look at these again for my next change, which is hopefully in a few year's time! Brought these to replace my previous tyres which were worn out. Used on a 2005 350z, Put about 8,000 miles on them so far and they are a good tyre, haven't worn down noticeably tread still looks good. Grip very well in the dry and cornering is progressive with them, you know when you are near the limit, used on an everyday driver and the occasional thrash when conditions/roads allow and they hold up nicely particularly when warmer. Braking seems to be good with these too in both the wet and dry nice, sharp and predictable. I managed to get up steep 30 degree inclines in the snow when we had some bad conditions in the UK without too much difficulty as long as you're careful these are not too bad at all and I managed to still get around when other people could not even move off baring in mind with a 320hp rwd car. In the wet again as long as you are sensible they hold up more than good enough to be honest have been able to throw the car around as usual. Am extremely impressed with these tyres a good compromise against the Uniroyal Rainsports which did have slightly better wet grip and a firmer ride but they also cost a lot more but overall not much difference. I drive on varied roads daily, Motorway , country roads and sometimes town. These are good if you want low tyre noise, sharp handling, confident feedback and low wear good for daily driving and the occasional thrash.